TORONTO – After a formal review of competing bids, Hamilton Croatia has been selected to represent their city in the Canadian Soccer League. Hamilton Croatia will be playing a senior professional team and an under-21 team in the upcoming 2010 season. In existence since 1957, the club’s recent successes include finishing the 2008 OSL South Region season undefeated, and ending on top of the OSL West Division table in 2009 during its first year of promotion to the OSL’s highest league. Ron Davidson, recently named OSL Coach of the Year, has been an instrumental part of Hamilton Croatia’s winning ways both on and off the field, leading the bid for promotion to the CSL. 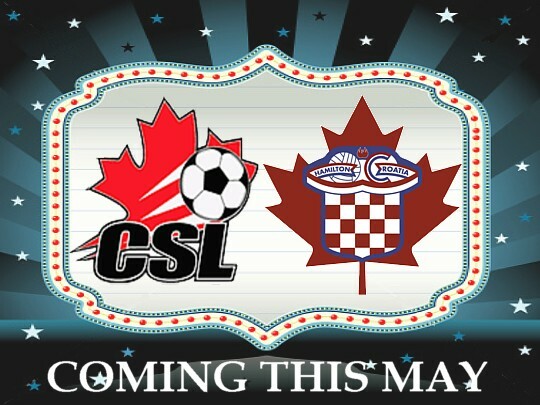 The CSL team will be hosted at the new Croatia Sports and Community Centre in Stoney Creek, where the club intends to extend its rich history for many years to come. “We plan to announce a few more expansion clubs for 2010 within the next few weeks as we conclude the reviews and negotiations with several prospective communities. By 2011, the CSL will complete its reach across Ontario, ensuring that the top young athletes in every region will have an opportunity to excel in the sport without sacrificing education or home life,” closed off Di Gironimo. FC Hamilton Croatia will be holding open tryouts on Saturday, March 27th from 2-3:30 pm. The tryout will take place at the brand new Player Paradise facility in Stoney Creek. The cost to tryout will be $20 (cash only) and registration will begin at 1:30 p.m. IMPORTANT: All participants must register prior to attending by emailing their personal information — name, address, phone number, emergency contact, and a player bio which includes the most recent team played for. All players registering younger than 18 years must be accompanied by a parent or legal guardian who has the authority to sign the waiver form prior to taking part in the tryouts. Please contact csl@hamiltoncroatia.com if you are interested in attending the tryouts or have any other questions or concerns. Posted in A-Team | Comments Off on 2010 CSL UPDATE!